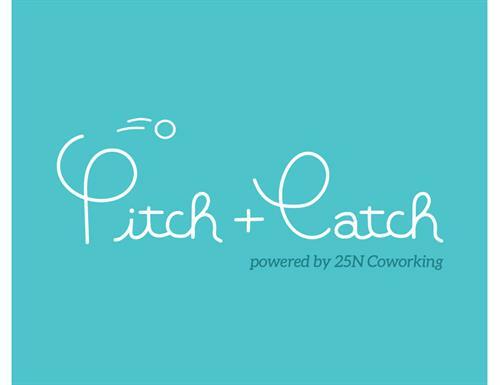 Pitch + Catch offers 25N members an opportunity to present their business plan, new idea, or sales pitch to an audience of mentors, advisors, entrepreneurs, and you! Pitchers prepare a five minute presentation and engage in 20 minutes of feedback and questioning. 25N members gain insight into possible ways they can improve their businesses and gather real time feedback. The audience learns a great deal from the presentations. There is much to learn every month from these dynamic and diverse entrepreneurs. We need you in our audience! Come for snacks and drinks OR email geneva@25ncoworking.com to be a "pitcher." Third Tuesday of every other month at 4 p.m.